Be sure to schedule your showing today before this is just another home, SOLD! Come see this stunning 1,868 sqft townhouse, located in the gated community of Village Walk of Bonita Springs! With an incredible list of amenities to include a beauty salon, clubhouse, community pool, exercise room, library, restaurant, and tennis court, Village Walk has something everyone can enjoy. 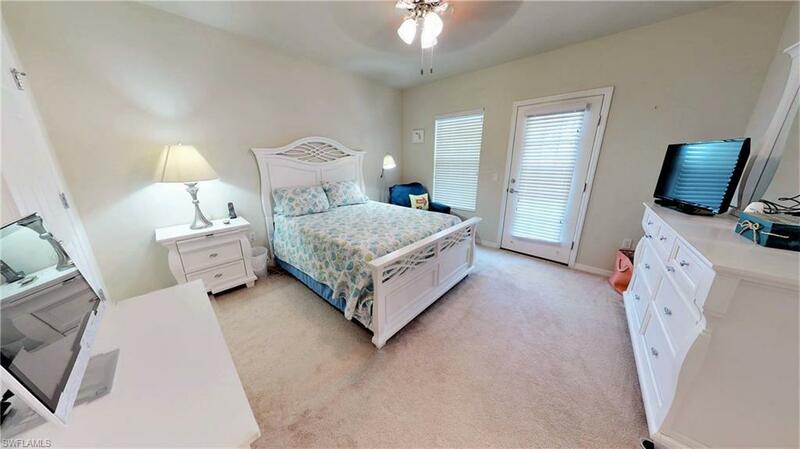 Offering 3 bedrooms, each with their own full bathroom, this home features a detached 2 car garage, tile throughout all main living areas, a downstairs bedroom and ample natural lighting. The cozy and welcoming living room boasts direct access to the lanai, and is over looked by a dining space and kitchen, complete with granite counter tops, rich cabinets, a breakfast bar, and plenty of recessed lighting. One of the generously sized master bedrooms also gives you outdoor access, with a beautiful balcony that overlooks the street, and a private ensuite providing you with dual sinks and a large walk in shower. The lanai is perfect for entertaining friends, or simply taking in the Florida sunshine. Click on the link above to view the 3D virtual tour!